There’s a reason your mother told you never to pop that pimple. Picking is the most common cause for acne scarring. These marks stick around long after the blemish has disappeared, sometimes remaining permanently on the skin. The best way to avoid acne scars is to seek professional treatment, Joel Schlessinger MD says. Acne scars are different than post-inflammatory hyperpigmentation, which is a dark spot that forms after the breakout disappears. Scars take longer to remove and sometimes require laser treatments. Atrophic scars appear as indentations while hypertrophic scars are thick, raised bumps on the surface of your skin. Scar treatments won’t completely erase the mark, so it’s important to seek the professional care of a board-certified dermatologist like Joel Schlessinger MD before the damage is done. “Once scarring happens, it is very difficult to reverse,” Joel Schlessinger MD says. If it looks like your acne might be scarring, it’s time to see a dermatologist. It’s much easier to prevent scars before they’re permanent. With the right medications and treatments, it is possible to avoid permanent scarring. To prevent scarring, Joel Schlessinger MD recommends using the LovelySkin Acne Care Starter Set. This kit includes a cleanser, toner, treatment and moisturizer to heal and renew the complexion. Each product uses ingredients like amino fruit acids, vitamin C and Dead Sea minerals to remove debris and exfoliate skin. When used alongside other acne treatment products, this system helps prevent unwanted scarring and promotes a clear, healthy complexion. Scar treatments can help minimize unwanted marks, explains Joel Schlessinger MD. Minimize mild discoloration with a gentle facial peel like Dr. Dennis Gross Skincare Alpha Beta Daily Face Peel. These daily-use pads exfoliate skin to reveal healthy cells underneath. This treatment also helps your other skin care products become more effective. SkinMedica Scar Recovery Gel with Centelline™ helps treat fresh scars as well as older marks. Naturally derived ingredients in this cream hydrate damaged skin, stimulate collagen production and repair wounds. While these products can produce results, professional treatments are usually much more effective on stubborn marks. 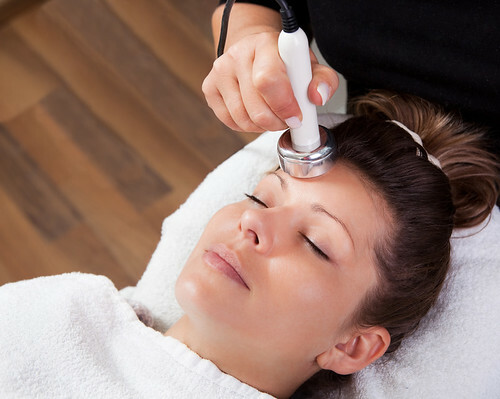 An IPL Intense Pulsed Light treatment can help diminish the look of acne scars and other skin imperfections. Retin-A can also soften the look of scars over time. Acne is painful. It can leave adolescents feeling embarrassed and isolated from their peers, and certain types can even leave behind permanent scarring. Though you may have already noticed changes in your teen or preteen’s skin, you might be wondering when to take them to a dermatologist. The answer is simple: the sooner, the better. While you’re busy helping your children prepare for their new experiences this fall, consider putting a dermatology appointment on your back-to-school to-do list. Dr. Joel Schlessinger often sees patients who suffer from more than one type of acne. The vast majority of teens and preteens will experience acne at some point. 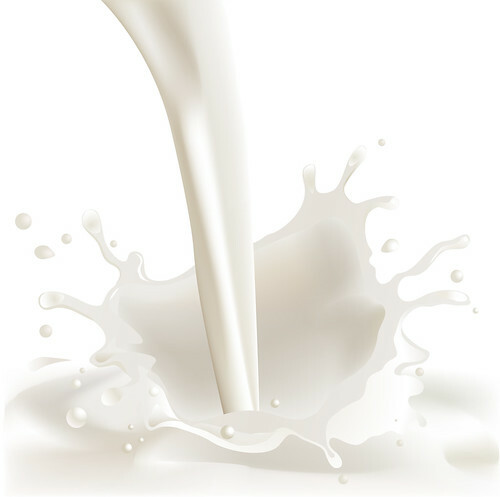 Breakouts occur when a substance called sebum clogs pores, causing a red, inflamed pimple to appear. Acne can also appear in the form of whiteheads and blackheads. Whiteheads are pores that have become impacted with oil and then covered by layers of skin, while blackheads are impacted pores whose material pushes out through the follicle. More serious forms of acne include papules, pustules or nodules, which appear as red, swollen lesions, and cysts, which are deep, pus-filled pimples. Breakouts generally occur on the face, neck, back and chest and it’s common to experience multiple types of acne at once. At his clinic, Dr. Schlessinger often encounters parents who elect to bring their children to the dermatologist after acne has already caused severe scarring. Once scarring has occurred, there is little that can be done to improve it. Luckily, this heartbreaking situation can be avoided by addressing breakouts early. Dr. Schlessinger strongly recommends taking your child to a dermatologist as soon as you notice acne. However, when it comes to keeping acne under control, preventative care is key. If you’ve noticed the first signs of puberty in your child, oily, acne-prone skin is probably not far behind. Getting them started on a skin care routine early can keep acne under control and help them form good habits for life. This is especially important if you have a family history of acne. Pinpoint the cause of acne and discover cost-conscious treatments with Dr. Joel Schlessinger and Skin Specialists P.C. of Omaha. There is a misconception that dermatological care and acne treatments are expensive. Dr. Joel Schlessinger assures that this is usually not the case. At his Omaha clinic, he can pinpoint the cause of acne and recommend a variety of treatment options, including many that are less expensive and more effective than popular infomercial alternatives. Dr. Schlessinger likes to recommend the Obagi CLENZIderm MC Acne Therapeutic System to many of his patients. The products in this set use 2% salicylic acid to fight acne without over-drying or irritating the complexion. In as little as four weeks, patients saw improvement in their skin. Patients also see success with the LovelySkin Acne Care Starter Set for Oily Skin. This complete regimen contains LovelySkin Cleanser Gel, Toner Mist, Acne Care Gel and Sheer Oil-Free Moisturizer to not only address current blemishes, but to prevent future breakouts. The products use gentle exfoliators to help balance your child’s skin, remove excess oil and protect it from irritation. Remember that stress only exacerbates acne. Keep your child healthy and happy by scheduling a dermatology appointment before the new school year is in full-swing. Do you have a question for Dr. Joel Schlessinger about adolescent acne? Let us know in the comments below. Teens are not the only ones who have to worry about acne, explains Joel Schlessinger MD. Just because you escaped acne during your teen years does not mean that you are immune to this issue for the rest of your life. According to an article in Skin Inc, more and more young adults find themselves dealing with breakouts well into their twenties and thirties. Generally, the blemishes affecting this age group have different causes than teen acne so it is important to approach treatment differently. In this post, Joel Schlessinger MD highlights the best way to deal with blemishes affecting young adults. 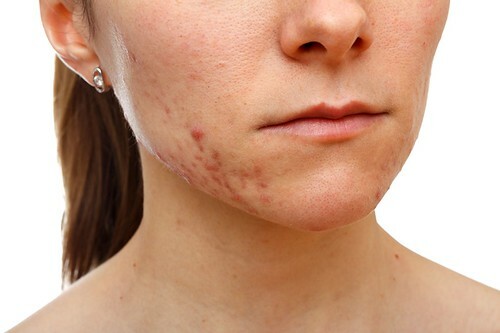 Medications, hormones and lifestyle all affect acne in young adults, says Joel Schlessinger MD. Women over 25 often experience acne because of hormone fluctuations that occur during their menstrual cycles. Birth control pills and hormone replacement therapy may also cause breakouts to occur more often. A number of other medications taken by men and women can increase oil production and aggravate blemishes. Dermatologists can recommend medications for treating acne in young adults. These treatments decrease testosterone levels to help control breakouts. Blue light therapy devices are also effective at eliminating bacteria that cause blemishes. Joel Schlesinger MD explains how treatments from aestheticians can diminish breakouts. Many young adults with blemishes are searching for an immediate treatment that can diminish the severity of their acne. For these patients, facials and chemical exfoliation treatments once a month may help control their breakouts. These procedures unclog pores and renew the skin to create a healthy complexion. As part of their daily routine, patients should use cleansers with exfoliants such as alpha hydroxy acids. A lightweight moisturizer and a daily sun protection product are also an important part of an effective regimen. Stay tuned for information on how to treat mature acne and take a look at Joel Schlessinger MD’s recommendations for teen acne. Acne treatments are dependent on an individual’s age, explains Joel Schlessinger MD. Whether you’re 15 or 50, dealing with acne is always frustrating. From occasional blemishes to widespread breakouts, it is estimated that between 40 and 50 million Americans deal with acne at some point in their lives. According to a recent article in Skin Inc., however, not all treatments are created equal. Joel Schlessinger MD points out that an individual’s age affects not only the type of acne a person experiences, but also the best way to treat it. Here, Joel Schlessinger MD will explain the best way to deal with blemishes that affect teens. Treatments, medications and topical products can all make a difference in the severity of teen acne. 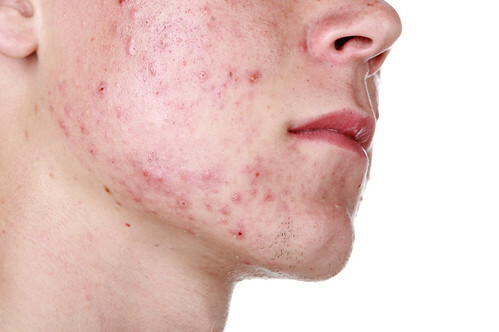 Joel Schlessinger MD says that most acne affecting teens is a result of hormone changes. An increase in testosterone during puberty is one main cause of blemishes. This increase occurs in both males and females, although males experience higher levels during development. Testosterone can increase oil production and affect the frequency of breakouts. Dermatologists generally treat this type of acne with medications or topical treatments that reduce oil and bacteria on the skin’s surface. Recently, more teens are experiencing relief by using light therapy to treat their breakouts. Light therapy uses laser light to eliminate bacteria and reduce inflammation. These types of treatments can be performed in-office or by using at-home devices. Aestheticians can help patients create a simple and effective routine, says Joel Schlessinger MD. For teenagers, a quick and easy routine is the best solution. A regimen should include a cleanser, spot treatment and moisturizing sunscreen to heal and protect the skin. Ingredients such as salicylic acid and benzoyl peroxide are effective for treating blemishes because they reduce bacteria on the surface and exfoliate to unclog pores. Stay tuned to Joel Schlessinger MD’s blog for more information on how to deal with young adult acne and mature acne. Bloomberg News recently reported that French health authorities are planning on suspending the sales of Bayer AG Diane-35 acne treatment. This drug, commonly used as a contraceptive, can increase the risk of blood clots. Various sources have reported that this drug has led to four fatalities over the past 25 years. After a review of the treatment’s risks and benefits, the drug was found to be unfavorable. In a recent press conference, it was noted that this drug provides an unnecessary risk to women who use it as a contraceptive. Dr. Joel Schlessinger explains how this could affect the United States use of contraceptives. The suspension of Diane-35 will take effect in three months. This drug has not been approved for use in the United States. Dr. Joel Schlessinger believes the ban of similar drugs may be coming soon. “This may eventually happen in the United States as these medications have been associated with blood clots and other issues in women,” said Dr. Joel Schlessinger. Learn more about other pharmaceutical drugs from Dr. Joel Schlessinger. A new form of Accutane is now available in the United States to treat recalcitrant nodular acne. Dr. Joel Schlessinger is excited about this effective treatment – learn more about it here. Dr. Joel Schlessinger recently commented on the outbreak of bed bugs across the United States and the new drugs that can be used to treat them. Read more of Dr. Joel Schlessinger’s commentary on bed bugs here. Do you have a question about a pharmaceutical drug? Ask your questions in the comments.